The mounting brackets suit our extensive range of end ﬁttings, creating a wide range of easy-to-assemble ﬁxing options. 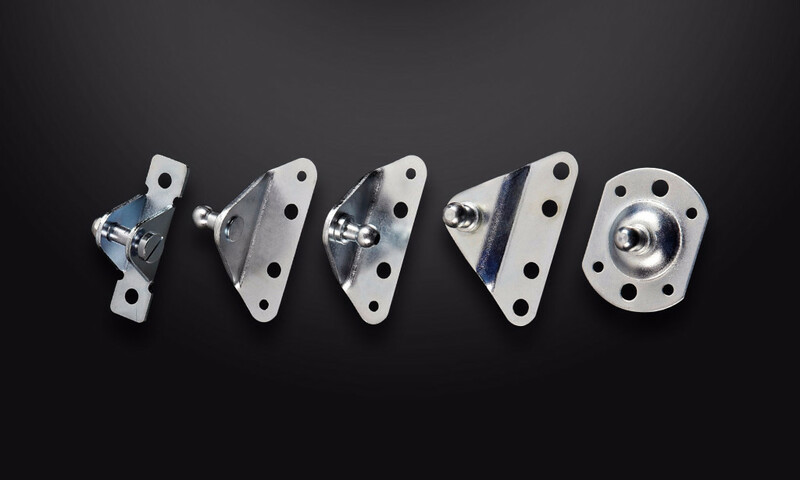 Available in a wide range of styles, including 90°, ﬂat and raised, the brackets are drilled to accept a variety of ﬁxings – making it easier to fasten to timber and steel frameworks using screws or dowels. They are designed to accept DIN/ISO standard ﬁxings. Manufactured in carbon steel with zinc and clear passivate, the components achieve a minimum of 72 hours of salt spray testing under ASTM B117. They are designed for ease of assembly with ball pins for ball joints and ISO thread for threaded pins for lock nuts and split pins. The brackets combine compact design with strength – offering an extensive force range capability.